Elmer Lee Pownall of the Canby-Molalla area passed away on March 16, 2017. Elmer Lee Pownall Elmer Lee Pownall Elmer Lee Pownall, 84, was born October 23, 1932 to Sedgewick and Ethel Pownall in Scotts Mills, Oregon. He attended Molalla High School and in 1948 enlisted in the Army. He served in the Army National Guard, Navy and Air Force. Elmer served in both the Korean and Vietnam War. He received the China Service Medal, Korean Service Ribbon and the United Nations Service Medal and was discharged in 1963. On June 24, 1965 he married Theda Faye Watts at the Macksburg Lutheran Church in Canby and they lived in the Molalla-Canby area for 50 plus years. 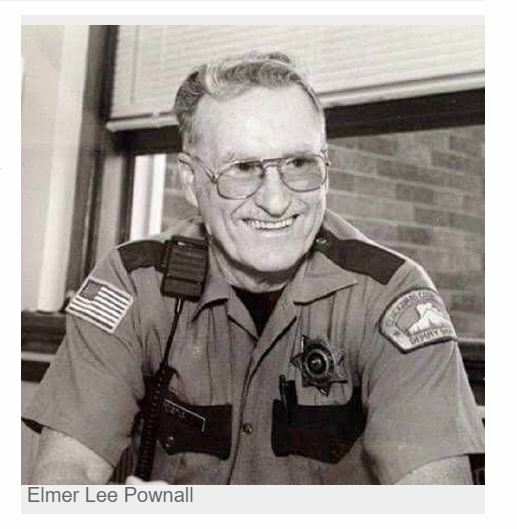 Elmer was a Clackamas County Sheriff's Deputy for many years and retired in 1994. He is survived by his wife Theda, daughters Cindy F. Woods, Woodburn, OR. , Debbie K. Owens, Happy Valley, OR., Denise L. Shaw, Oregon City, OR., and sons David D. Pownall, Milwaukie, OR. and Jim R. Pownall, Albany, OR., six grandchildren and 3 great-grandchildren. He was preceded in death by his son Ron Pownall. Services will be held April 1, 2017 at 2pm at Grace Baptist Church, 901 N Molalla Ave, Molalla, OR. In lieu of flowers please consider donating to the local VFW.